Pinterest is basically a visual bookmarking site that has a strong social component built into it, making it easy for things to go viral. Pinterest currently gets about 6 million monthly users and has millions of hits per week, and it’s only going to grow from there. Pinterest accounts are obtained by invitation only. If you need one, leave a comment on our Facebook page and we’ll make sure you get hooked up. This allows you to keep all those lovely things from around the web organized in one nice place. Once you have added some friends, click on the logo at the top of the page and it’ll take you to a board where you can see you and your friends’ most recent pins. This front page is where you’ll do most of your pinning and browsing. When you hover over a pin, you’ll be given the option to Repin, Like, or Comment on the pin. Repinning the pin allows you to put it on one of your boards. Liking the pin puts it on a “liked” pins page that you can access by selecting “Likes” in the menu with your name on it in the upper right side of the page. Commenting allows you to add additional comments to pins. On the left you’ll see recent activity from your friends, such as when people like, repin, or comment on your pins. The right side is where you find your own boards, add friends, and do all sorts of other stuff that I’ll let you explore on your own. But the thing I love most is in the middle right below the Pinterest logo. This lets you change what you see. By default, you’ll see the things from the people you are following. However, you can also select to see everything being pinned on Pinterest at the moment, or Videos, or Popular Pins, or Gifts. If you want even more information about the nuts and bolts of using Pinterest, I highly suggest this helpful article about how to get started on Pinterest. 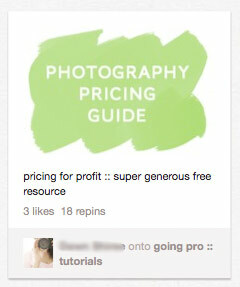 Pinterest’s power comes from it’s incredibly viral nature. People can share things with just a click, and because it’s so visual (and we’re in the visual business) it’s an incredible tool for marketing. Not only that, but it can drive an insane amount of traffic to your website when someone with lots of followers pins something from your website. 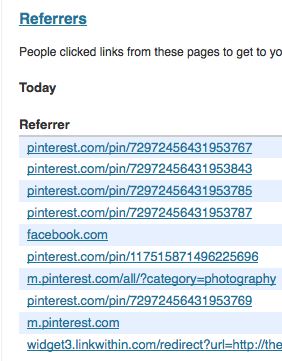 In fact, Pinterest was my highest traffic generator last month to this site beating Facebook by about 20%! Another fabulous thing about Pinterest is that the links are “do-follow” links, meaning they will help you rank better in search results. Now, they won’t necessarily get a lot of weight because there are so many links, but the sheer mass of links may help a bit. 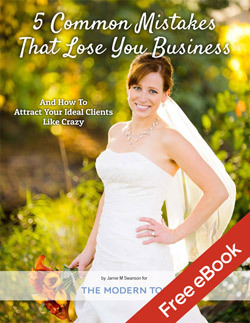 Pinterest is also a great way to help serve your clients. When you can point them to a board of resources that have been created just for them and their needs, it leaves a positive impression on them and makes them feel more excited about working with you. As with any social network, there are a few rules that you need to follow when using Pinterest. The main ones are about not using the stuff you find on Pinterest for commercial gain. So don’t go stealing other peoples’ photos and claiming they are yours, using them as if you took them, etc. As an artist, I’d hope that you are more than glad to respect copyright laws and ethics behind internet image usage. Because of the way that Pinterest seems to encourage people to add prices to things and pin, I don’t actually believe that they ban you trying to promote products you sell on Pinterest. Their terms of service seem to prohibit things related to copyright issues and making money off of things that aren’t yours more than simply making money off your own stuff, but that’s just my interpretation (based on reading it and seeing how others use the site) so you may want to read it yourself. They also ask that you don’t overly self-promote. You are free to pin your own content as long as that’s not the only reason you have an account. Quite frankly, you’ll get more traction using Pinterest if you pin all sorts of things anyways, so it’s in your best interest to follow this one. Keep a high percentage of your pins from other sources and you’ll be fine. There are lots of ways that you can use Pinterest. Here’s a few of the suggestions I have for using it, but I’d love to hear what you’re doing in the comments as well. I’ll be linking to a few of my Pinterest boards in my suggestions – I encourage you to follow them and “repin” anything that you think would be helpful. Think about what needs your client has and create a board that helps solve them. For example, you could create an entire board called “What to Wear at your Photoshoot” that has clothing suggestions for their sessions. Or maybe you’ll have a board filled with props just for portrait sessions that clients can use as inspiration for their own session. For my wedding clients, I’m in the process of creating a number of wedding inspiration boards. I’ve currently started boards for wedding bouquets, boutonnieres, wedding dresses, wedding shoes, veils, reception decorations, and wedding details. I’m planning on adding a venue board and some other location boards for engagement shoot ideas. I’ll be sending links to these boards to my clients after they book with us just as helpful little extras that they may find useful. 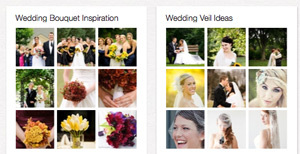 Pinterest is a bride’s best friend for planning. Gift Ideas for Brides & Grooms (hint – if you use the $, € or £ before a number it makes a nice little banner in the corner of your pin showing the price of the item). I know, that doesn’t directly get you traffic to your website, but it will do so many good things for your reputation and word of mouth advertising from clients who feel like you went the extra mile that it’s worth noting first. Always think about what your clients’ needs are and how you can help ease them and you’ll be making good business decisions for sure. The more your images are pinned, the better chance you’ll have at getting people to visit your site and potentially book your services. While this may be more valuable for people who work internationally or sell something on their website, it can still benefit local businesses as well because your clients will be pinning stuff that their friends will see. It’s much like Facebook in that way. Think about ways to encourage people to pin your images. The first step is to put Pinterest buttons on your site. The easiest way is to install a plugin that puts the button at the end of your post. I helped develop a free WordPress plugin called “Pin it on Pinterest” with William Bay, and it puts a little window in your admin right under where you write your posts that allows you to select the image used and enter the custom description when they hit the button. I like this for blogging purposes as it allows me to use an image with text on it (such as the title of my post) so it gets more attention in Pinterest, but it doesn’t allow people to select their own image yet (that’s coming in a future version) so it is probably less useful for typical photo posts right now. It is really nice to be able to put a default description in there, however, as people generally just leave it there and that allows you to select your keywords and put a custom call to action for people to read. You can also do this manually for each photo you post or on only the posts where you want it. Simply visit Pinterest’s Goodies page to set one up and enter it into the html part of your post. That’s how I put the pin it button at the top of this post. There’s also a pretty sweet Pinterest widget that shows your most recent pins in the sidebar of your WordPress site. The next step is to encourage people to pin your photos. Tell your clients to go through and create an inspiration board from your own work that they can share with you to help you know what really draws you to them. Give regular calls to action to pin the photos or the posts. It works particularly well at the end of your posts. Having the buttons there and ready to go make it incredibly easy for them to pin your stuff. This is a great way to encourage people to pin your stuff and interact with your website. Mark Eric is running a contest for his blog readers that is incredibly brilliant. To enter, he’s having people create a board with images from his site that inspire him as well as images with location ideas, clothing styles, and anything else they’d like to represent themselves and then he’ll judge them for creativity and give the winners a free portrait session. You might also consider having people vote on a selection of images you post by repinning it, liking it, commenting on it, etc. Or have them pin their own photos as a way of entering. I’ll be curious to see how people begin crafting contests using Pinterest as it becomes more and more popular, as I’m sure there are many ways to do this that no one has tried before. Leave a comment below if you’ve got a good one that you want to share! Etsy sellers have been all over this since they realized the viral nature of Pinterest. Pin a photo with information about your products and services with the price in the description. It’d be a great way for people to add them to their wish lists for birthdays, anniversaries, and holidays. Create a pin that gives them some special promotion for following you on Pinterest. Change it up often to encourage them to come back to your board to see. This works better for portrait photographers where you have more repeat clients, but you may want to do some sort of promotion at special times of the year and use that to promote your business as well. I’m really hoping that a bunch of my wedding vendors get involved in Pinterest because it would be a very easy way to share images with them. If you want to tag a user in a pin, simply use an @ before their name and it will tag them. You will need to be following at least one of their boards to be able to do this, however. They will be notified about the tag, and you can share things with them that way very easily. There’s lots of ways to strengthen your brand using Pinterest. Create a board with inspiration around the web that fits your brand. Pin personal stuff for your clients to get to know you and what you like. So much of what we sell is an experience, so it’s a great way to help them to know you better. It’s also a super-helpful tool for when you’re thinking about re-branding as you can create an inspiration board with things you love that your designer can help to tie together into your site. Here’s how to make the most of Pinterest and not lose out on that extra bit of exposure. You don’t have to search the entire internet to find things to pin on the boards you’re looking to create. Instead, use the search function on the front page to find things that you might want to add to your boards. The search function is also fabulous for doing market research, looking for inspiration, identifying new trends that are emerging, and finding new people to follow. Simply replace the term you’re searching for in place of the bold terms to search for pins on the site. Because the links are currently do-follow (meaning the have a positive impact on search rankings on sites like Google), you may get additional benefit from being intentional about how you enter titles and descriptions. 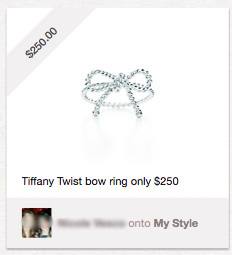 When pinning things, use full descriptions with good keywords. You can also add a link to a website in the description by writing out the full web address with the “http://” part. Make sure when you pin directly from blogs that you are not pinning from the home page but rather the post page for that item so that it goes back to the right spot if you want to access it again. While creative titles for your boards can be fun, you’ll get more potential search traffic if you name your boards with descriptive titles. Use the descriptions to add your keywords and fun elements. You cannot put active links in board descriptions. Make sure you’re being clear about what is being pinned on the board. Caution: Don’t just fill things with lots of keywords over and over again. Search engines don’t like this and can penalize you for it, so when you’re doing this, make sure you’re doing it in such a way that people seeing it won’t think anything weird about it. It’s better to get people repinning your content by far than to stuff it with irrelevant keywords that might only hurt you anyways. One of the most powerful things I’ve found to make your images stand out is to put words on them. 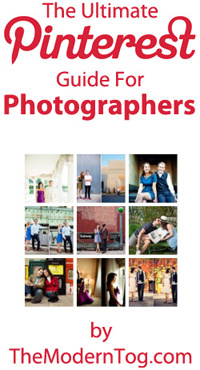 My most frequently pinned image for The Modern Tog is my pricing guide image, which you can see on the right. This is part of why I like being able to select what image I want people to use when they hit the “pin it” button on my blog, as I don’t always want to have text on all my post images and this allows me to not have to have the image with words on it in the post at all. Images that have people looking directly at the reader seem to catch peoples’ eye as well, and images that are stunning even at a very small size are also effective. I’ve also started watermarking my client images again. It’s a way to create brand recognition as my photos are passed around Pinterest, as they may never actually click through to my site to see who created it. This is something you’ll have to weigh for yourself. I suggest heading over to Pinterest and just browsing your board, intentionally noting what catches your eye and why. You’ll learn a lot simply through being observant. If you want to build a following fast, make sure to interact and engage with people. Leave comments on things, use the @ symbol to tag people in notes, and thank people for pinning. There isn’t a lot of engagement going on other than repinning things right now, so this is a great way to really stand out and make yourself notable. Want to see if anything from your site has been pinned? 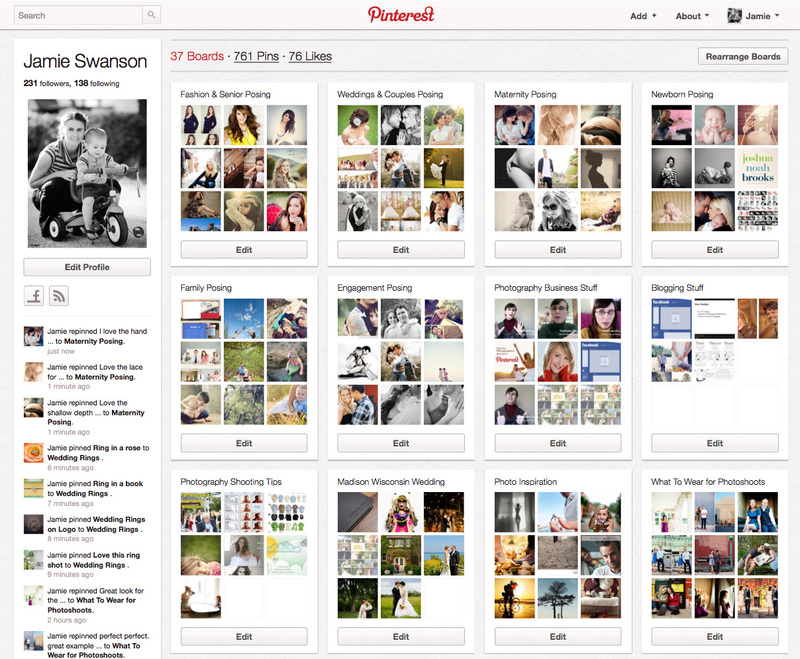 This will show you the last several things of yours that people have pinned on Pinterest. Please follow me on Pinterest! I have several boards for photographers, including Posing Inspiration Boards, Photography Business Tips, Shooting Tips, and boards for my clients that you can follow and repin onto your own boards. I’d love to hear more about how you use Pinterest! Leave a comment below and share any other ideas you’ve had about how to use Pinterest! Finally, if you found this post helpful, I’d greatly appreciate it if you would spread the word by pinning this and sharing it wherever else you hang out on the internet. Thanks! P.S. Would you please take a minute to fill out this super quick survey for me? I am planning out my content schedule for the next few months and want to make sure I’m as helpful as possible to you, thanks!